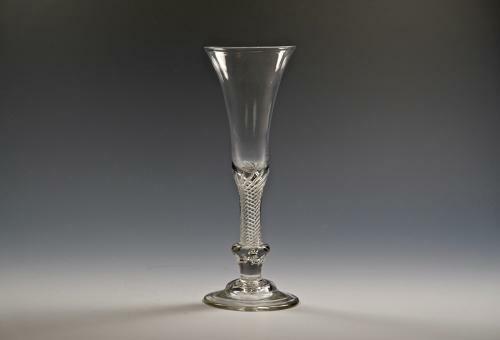 Composite stem ale glass C1750. Composite stem ale glass comprising of a bell bowl, multi spiral air twist stem over a beaded knop and domed foot. English C1750. Note: A fine example of a rare glass.